Last week, Kendrick Lamar stopped by The Ellen Show to perform my favorite song, the Terrace Martin, Larrance Dopson, Sounwav produced, "These Walls" from his To Pimp A Butterfly project. During Kendrick's interview with Ellen, they discussed his recent honor from the California State Senate as a "Generational Icon," as well as the love and mutual respect he has for Taylor Swift. 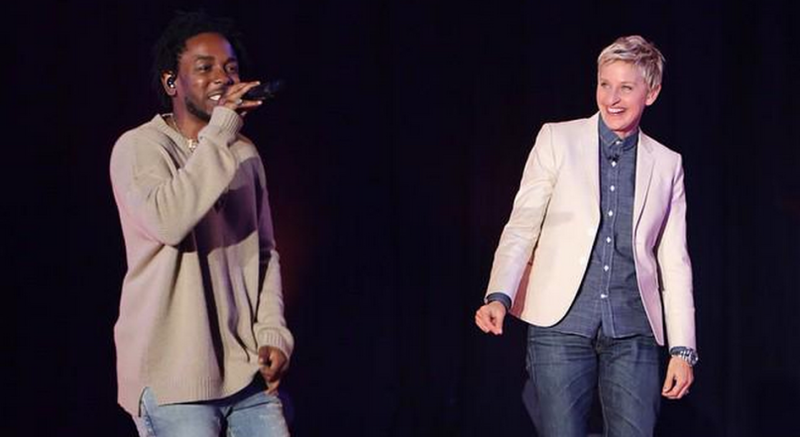 Bilal and Anna Wise, guest vocalists featured on the single were not a part of The Ellen Show live performance. Check it out below.